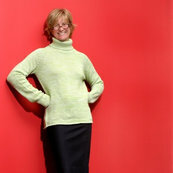 Pam is a very talented architect who brings a different approach to renovating your home. Having spent years studying greats such as Frank Lloyd Wright and Mies van der Rohe, Pam is able to provide a unique style and aesthetic while also constructing a very livable space. She is friendly, enthusiastic, and clearly has a passion for her work. As a boutique architecture firm she is able to provide her clients with the time and attention they need while also producing great results. I have had the opportunity to work with Pam Glazer since the beginning of this year. When I initially spoke with her, I felt immediately at ease.